THREE DAYS – FIVE PROGRAMS! TICKETS NOW ON SALE! 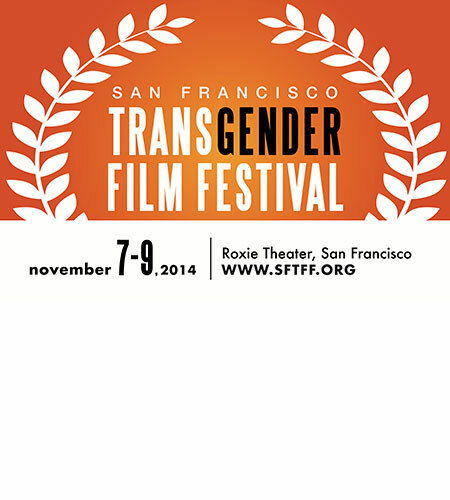 The San Francisco Transgender Film Festival (SFTFF) returns to the Roxie Theater for our 2014 Festival – a stellar weekend of transgender films. Full program information and listings below. Advance tickets are recommended for this very popular Festival! Join us for three days and nights of award-winning transgender cinema – dynamic programs of local, national and international films by transgender and gender variant artists from around the world. Special thanks to our 2014 SFTFF Community Sponsors: Community United Against Violence, Community College of San Francisco – LGBT Studies, Fresh Meat Productions, Transgender Law Center, TRANS:THRIVE /Asian and Pacific Islander Wellness Center. WANT TO GET INVOLVED? Contact us for volunteer and donor opportunities! From Northern Ireland, Adrianne and Karl, a transgender couple, both diagnosed with Asperger syndrome, confront their own Gender identity and find salvation in each other as their relationship blossoms and changes their lives. People who are different strive for the same things as everyone else. ‘Butterfly’ is a unique and heartwarming story about the human condition, about acceptance and feeling part of a community. Directed by Stuart McLaughlin. Director Cheryl Dunye’s BLACK IS BLUE is a powerful look at stealth trans man security guard who is forced to resolve some unanticipated inner conflicts from the past. “To Type Out Your Name” is part 9 of “Detours & Fences” – an ongoing video series that traces trans identity, family legacies, and heartache through landscapes, collected objects, and punk rock. To grasp: to apprehend; to clench; to enclose; to fathom; to keep; to know; to perceive; to seize; to take hold of. We’re shining a spotlight on a prolific member of San Francisco’s creative arts scene. Transforming Family, directed by Rémy Huberdeau, tackles the current conversation among trans people about parenting, capturing the struggles and strengths of transgender and gender fluid parents to be. “Forever’s Gonna Start Tonight: The Vicki Marlane Story” chronicles the remarkable experiences of drag superstar Vicki Marlane. From her roller skating and cross dressing youth, through the adventures that led to her being San Francisco’s “Toast of the Town” in the early ’70s. Produced by archivist and historian Kim Klausner (It’s Elementary:Talking About Gay Issues In School) and Emmy Award-winning Susan Stryker (Screaming Queens: The Riot at Compton’s Cafeteria). Directed by Michelle Lawler.